A classic design, the Henley Bath Shower Mixer with Handset is beautifully styled in a chrome finish with cross head handles and ceramic indices. This elegant tap features quarter turn ceramic technology and is suitable for all plumbing systems. Comes complete with shower hose and telephone handset. 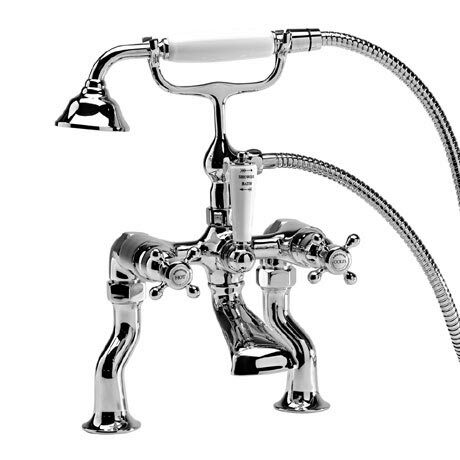 All taps in the Henley range feature a 10 year guarantee.